Lots of people are choosing to stay in a holiday home instead of a hotel – and for many good reasons! An article in traveller magazine which featured our Wanderlust On Water property summed up some of the reasons perfectly. 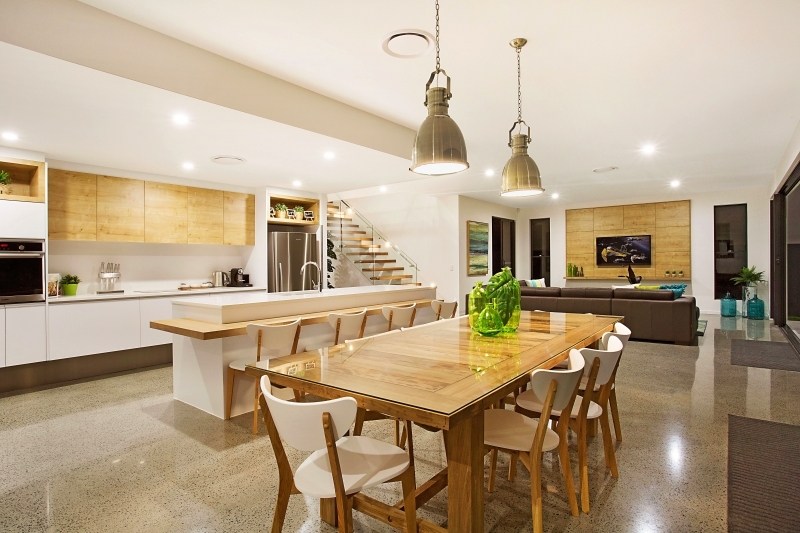 Another great reason to choose a holiday home is the stunning kitchens! There is no better time to indulge in a delectable meal with your loved ones than when you are on holiday. 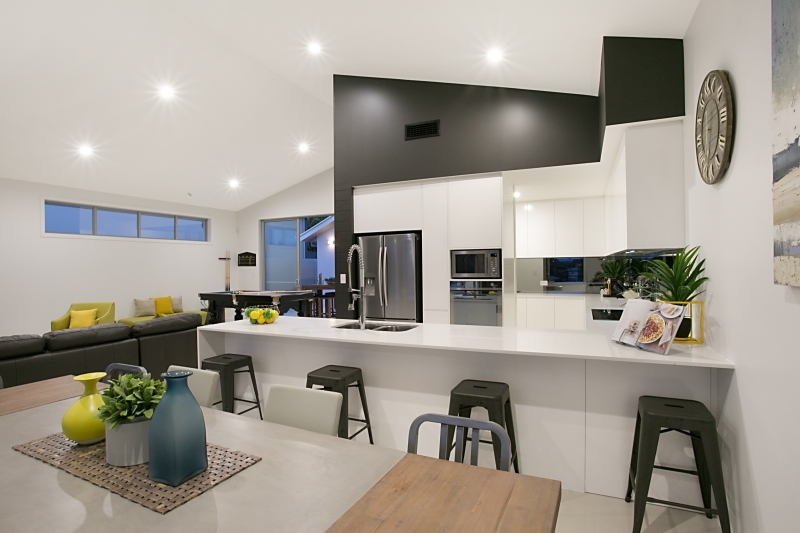 Whether you would prefer to cook for yourself, or would love to have your own private chef whip up a feast for you, there is an option for everyone at Elite Holiday Homes! This modern masterpiece from our Gateway to Paradise property! The kitchen in our brand new Ile au Soleil property. 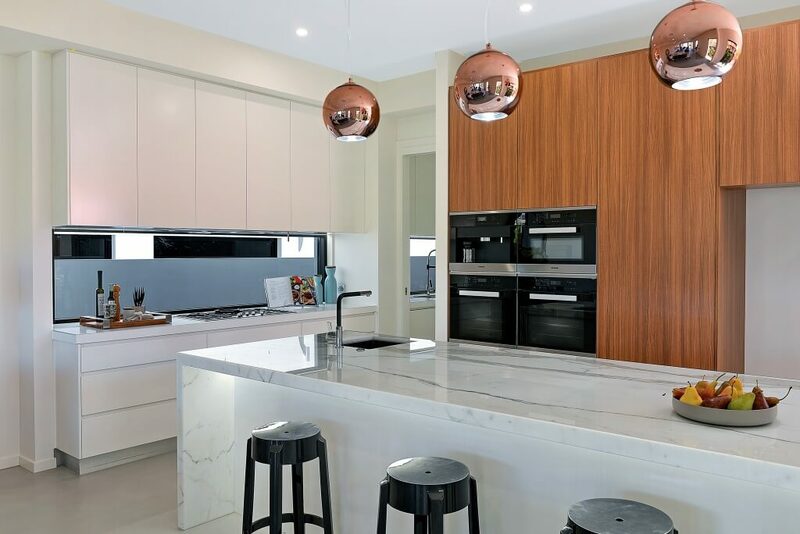 Look at those TWO ovens + built in coffee machine with gorgeous marble bench tops. How about incredible views out to the water? 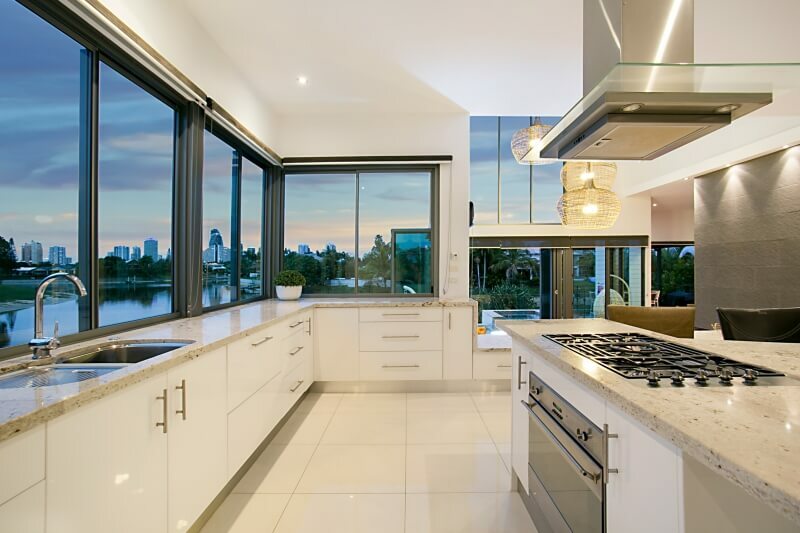 Lumiere Broadbeach is the property for you! This contemporary dining area in our C’est la Vie property with plenty of wood paneling for good measure. 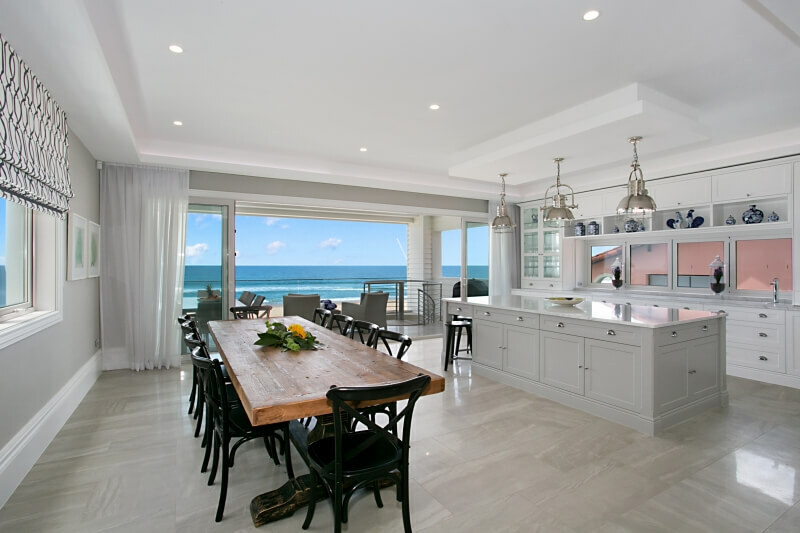 Or what about THIS amazing beachfront kitchen which is good enough for a Masterchef! Not so keen on doing the groceries on your arrival? We can organise for a delightful breakfast hamper or to have the kitchen fully stocked. If you’re keen to step away from cooking altogether during your stay, how does your very own private chef sound? We can have one ready for you! You’ve just got to say the word and we will sort out your very own Holiday Concierge.